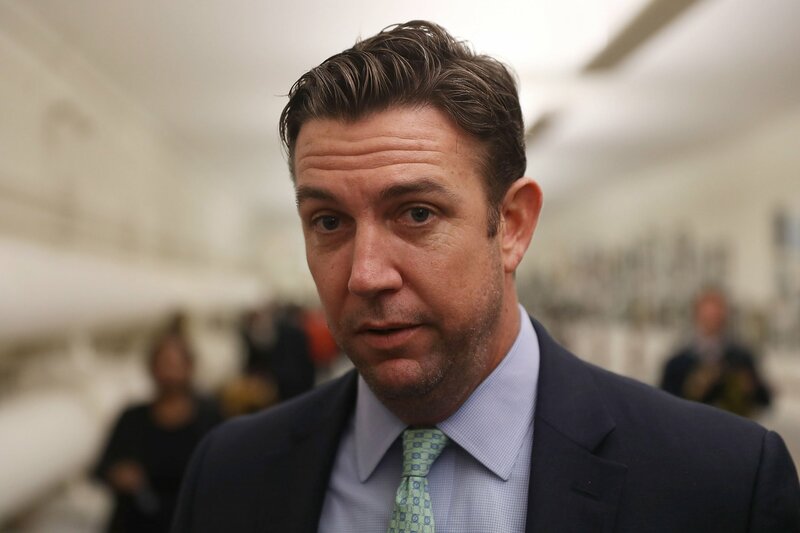 Republican Congressman Duncan Hunter, the California lawmaker indicted last year on 60 counts by a federal grand jury for allegedly misusing $250,000 in campaign funds, is again issuing campaign attacks that are anti-Muslim and racist, Democrats allege. 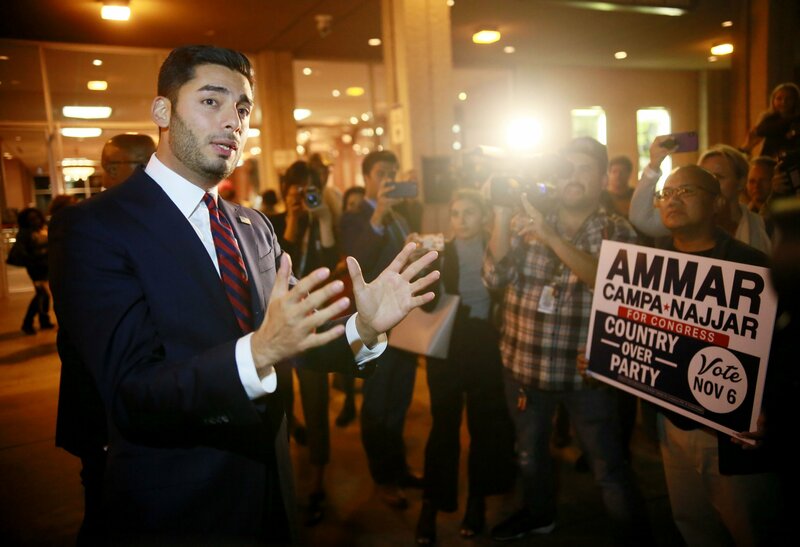 Ammar Campa-Najjar(D-CA) who is running for congress in California’s 50th district, with supporters during election night at Golden Hall on November 6, 2018, in San Diego, California. “Congressman Hunter ran a bigoted and deeply offensive campaign against Ammar Campa-Najjar in 2018 when he narrowly won re-election while under indictment, and it appears he is picking up right where he left off,” Congressman Adam Schiff told Newsweek in a statement. “The smears on Ammar, who was born and raised in California and has a distinguished record of public service, are despicable and should be rejected and called out by members of both parties,” Schiff added. Despite the charges, Hunter surged forward with his campaign and won re-election last year. He blamed the charges on “leftist government folks” and, in part, his wife, who he said was the campaign manager and handled the finances.